[May 10, 2017] Kansas/Oklahoma Wildfire Recovery Resources - Livestock producers are very unique working set of people, always have been and most likely always will be. This collection of people are continuing to care for their livestock and enduring through time tested calamities and weather events. The 2017 Kansas and Oklahoma wildfires resulted in loss of human lives, livestock, home sites, buildings, pastures and fencing. Please see the links below for information regarding donations to ranchers and producers who have been affected by the wildfires. Interested in donating or wanting more resources as to how you can help? Please contact John Peters at the Logan County Farm service agency if you are interested in helping out with donations of hay, fencing materials or anything needed for these victims. Together with the help and support of those whom are able and can offer assistance, the Kansas and Oklahoma livestock and ranching families and businesses will no doubt endure and recover from the 2017 wildfires. 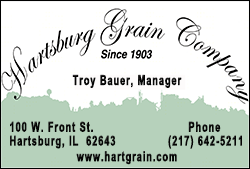 Logan County USDA Farm Service Agency Executive Director John Peters announced that farmers and ranchers in Illinois now can receive notifications from their county office through text messages on their cell phone. Producers can text ILLogan to FSANOW (372-669) to subscribe to text message alerts from Logan County. Standard text messaging rates apply. Contact your wireless carrier for details associated with your particular data plan. Participants may unsubscribe at any time. Please contact your local FSA office at 217-735-5508 if you have questions regarding FSA’s email news service or the new text message option. Farmers and ranchers are stewards of the Earth. Understanding the fragility of the land, agricultural producers want to sustain and protect the land they operate on to ensure its availability generations to come. 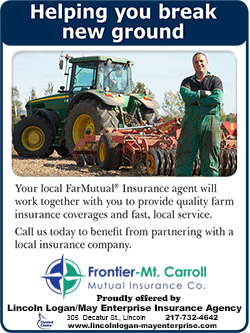 According to the 2012 Agriculture Census, there are 3.2 million farmers and ranchers in the United States. These producers are always looking for new and sustainable ways to operate to help preserve our natural resources. Through their voluntary participation in the various conservation programs the U.S. Department of Agriculture’s Farm Service Agency (FSA) oversees, farmers and ranchers help protect drinking water, reduce soil erosion, and help preserve and restore wildlife habitats, forests and wetlands. Thanks to American agricultural producers, there are currently more than 23 million acres enrolled in the Conservation Reserve Program. As we recognize Earth Day on April 22, we thank our farmers and ranchers for caring for the land, and ensuring the air we breathe and the water we drink is safe and clean. For more information on FSA conservation programs, visit www.fsa.usda.gov. Please contact, John Peters, County Executive Director, at 217-735-5508 ext. 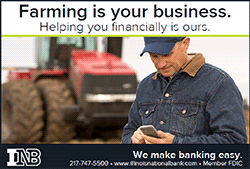 2, john.peters @il.usda.gov or for Farm Loans, please contact Tony Schmillen, Farm Loan Manager, at 217-735-5508 ext 2 tony.schmillen@il.usda.gov.